Android Operating System which was launched by Google way back in 2008 is the most popular operating system for mobiles at the moment. The reason for its tremendous success is that it is an open source operating system. Android was developed by Android Inc and not Google! It was bought by Google in 2005. Android was launched during the period when Apple’s iOS was at the helm of the OS for mobiles market. Initially Android OS didn’t create any ruckus in the mobile world but it started to grow gradually. Android has evolved into one of the largest community of Application Developers writing and developing large number of applications that extend the functionality of smart phones. What is the first android phone and who was the manufacturer of first android phone? 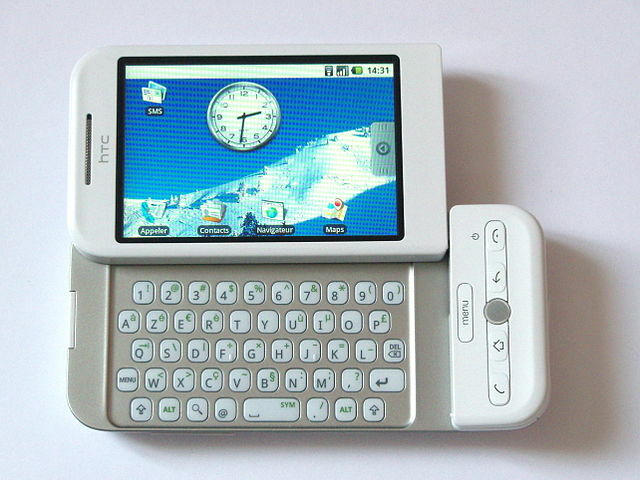 The first android phone was launched by HTC on 22nd October 2008. HTC Dream which is also known as the T-Mobile G1 in the United States of America and some parts of Europe is the first commercially launched device to be powered by Android operating system. Everyone had great expectations for it being the first android phone of the world and it met with some criticism since it lacked little functionality in comparison to operating systems like iOS and BlackBerry. HTC Dream was powered by 1150 mAh lithium-ion battery and 528 MHz Qualcomm MSM7201A ARM11 processor. It had a 3.15 megapixel rear camera with auto-focus. The device used a 3.2 inches capacitive touchscreen. It featured apps like Gmail, Google Maps, Search, Google Talk, You Tube etc., It comprised of other regular apps like calendar, contacts, alarm etc., In few regions HTC Dream was shipped with Cupcake as operating system. #21 Daily dose : What Was the First E-mail Message?